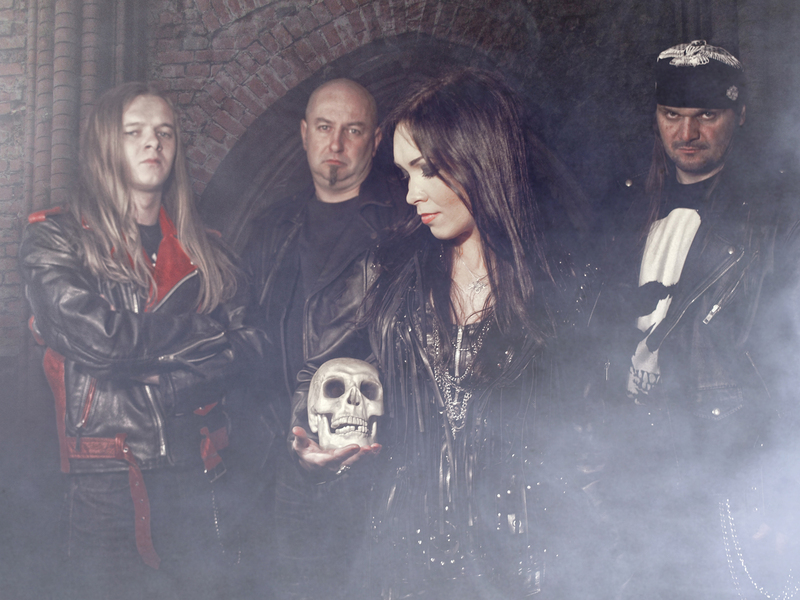 MARTA GABRIEL of CRYSTAL VIPER – A Metal Odyssey Interview! CRYSTAL VIPER – Recently, the forever Rockin’ HARD ROCK NIGHTS and Metal Odyssey teamed up for an exclusive interview with Marta Gabriel of Crystal Viper. Besides being the lead vocalist, Marta also is a guitarist, songwriter and lyricist for Crystal Viper, to name a few. Her knowledge of music and of course, Metal, is exemplary and radiates the skies from Crystal Viper’s recent release on AFM Records: Crimen Excepta. Originating from the great country of Poland, Crystal Viper was founded in 2003 and plays Traditional Metal with potent relevance. After the success of 2010’s critically acclaimed Legends album (their first with AFM Records), Crystal Viper has become an international player in the world of Metal. Marta is surrounded by: Andy Wave (guitars), Tom Woryna (bass) and Golem (drums). Can you describe how the new album “Crimen Excepta” conceptually evolved? What has been the turning point or momentum push thus far in the Metal career of Crystal Viper? Was it the (excellent) “Legends” album or something prior? I find “Ghosts Of Sherwood” to be an amazingly powerful song, both lyrically and musically. With “Ghosts Of Sherwood being the theme song for the 3D horror movie “Robin Hood”, how did this all come to pass? What was the chemistry like between you and Andy writing the guitar parts for this new album? For that matter, the chemistry of the entire band while recording? “Crimen Excepta” shows an enormous musical strength through its balance. How difficult is it to not stray too far on either the heavy or the light side of the Metal sound? Which song on “Crimen Excepta” proved to be the largest challenge for you to sing? I feel “Medicus Animarum” is a shining moment (among many), but this song certainly must push the envelope for vocal execution? Chris Moyen created an absolutely brilliant cover for “Crimen Excepta”. How important is it to convey the music of Crystal Viper through the album artwork? What can you attribute to the strong success of Traditional Heavy Metal in Europe over the years? Besides a dedicated and large fan base, could it be the variety of Metal festivals and ease of touring within Europe? Okay, what is the worst thing that ever happened to Crystal Viper while out on tour? If Crystal Viper could perform at a “Metal Dream Festival”, which other bands (past or present) would be on the bill? Thank you Marta for giving your time! 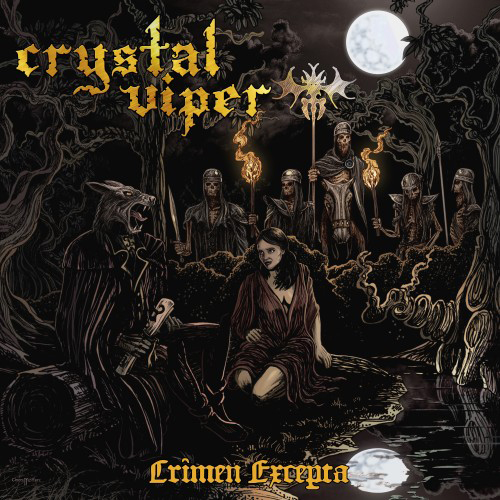 This entry was posted on April 26, 2012 at 9:00 am and is filed under Heavy Metal, heavy metal albums, heavy metal news, metal music, Music, rock music, rock music interviews, rock music news, traditional heavy metal with tags crimen excepta, crystal viper, crystal viper interview, heavy metal news, marta gabriel interview, Metal, traditional metal. You can follow any responses to this entry through the RSS 2.0 feed. You can leave a response, or trackback from your own site.